We will be at the Go Winter! Expo on October 28th and 29th, can't wait too see everyone there!!! Come to the show to see our products and services that we offer! This years theme is "Follow the yellow brick road" be sure to stop check out our decorations and don't forget to vote us your favorite!! We look forward to seeing you there. Don't forget to check our weekly specials on Facebook! And be sure to like our page! Call today for a home heating checkup! The snow will be on the ground soon and everyone will soon find out how prepared there heating system really is. Many will find they need a tuneup or cleaning don't wait for the temperature to drop and pipes to freeze call today!! 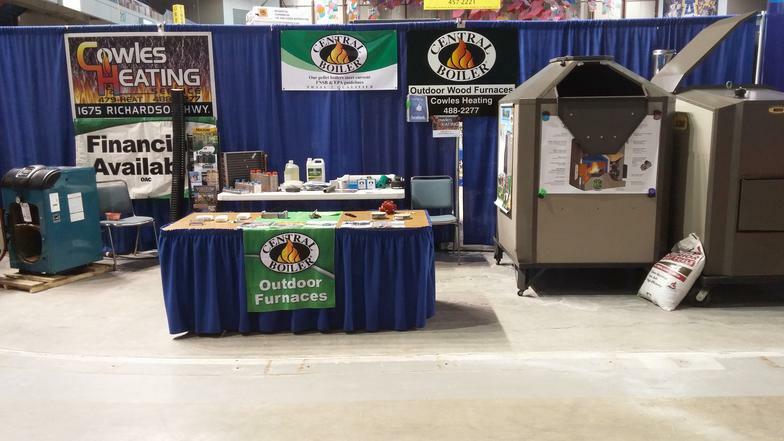 What a great show, hope everyone had a great time and remember even though winter is almost behind us don't wait until next year when the temperature drops to be one of the many scrambling to get their boiler inspected, tuned up or even worse a winter replacement. See you at the next show Fairbanks Thank you for your patronage. Feel free to comment on your fantastic experience with us. Spring is here call today to get a start on fixing that heating system you have battled all winter long and let next winter be a more enjoyable, problem free season.